We have begun laying the foundation of the new church building in earnest. Despite the rain and mud, last week, we successfully poured the 10 spread footings that sit atop the driven pilings and which will serve as a base for the concrete columns. 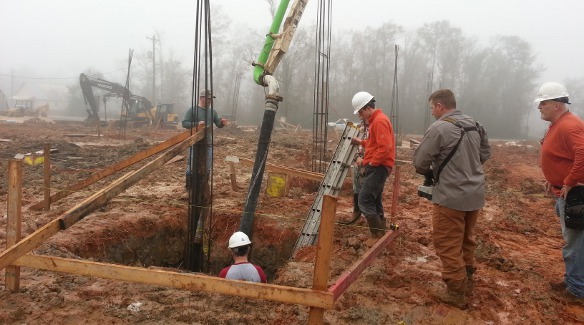 Most of the holes were also drilled as they wait the placement of the 12″X12″ wood pilings. I praise the Lord for the tireless work from volunteers who labored around the clock to make the week the most productive possible. We plan to let the mud dry a bit to provide a more suitable work environment and proceed with construction. We will need to build the forms and pour the concrete columns, set the wood pilings and concrete them in, build forms for the footers that will tie everything together, and pour the slab. In other words, the foundation will require several more weeks of work. Keep up with us as the construction continues, and feel free to come and lend a hand. The Lord has graciously granted us a great start to what will no doubt prove to be a God glorifying productive week. 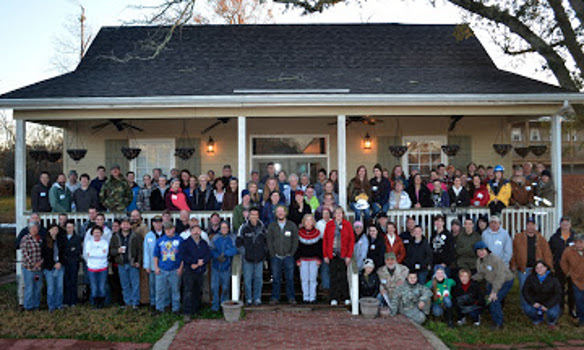 A 100+ person crew representing mostly Reformed Baptist churches has made its annual pilgrimage to the Mississippi gulf coast. Among many other projects, the foundation of the new church building heads the list. 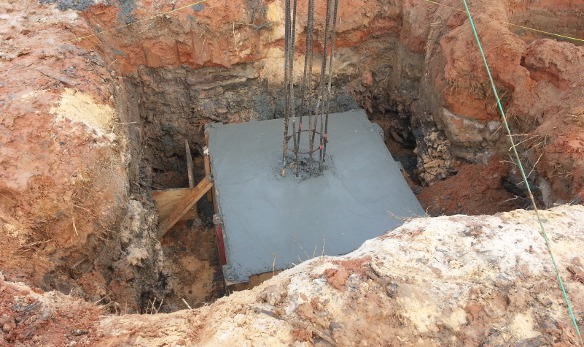 Please join us in praying for favorable weather as we strive to pour concrete before the end of the week. 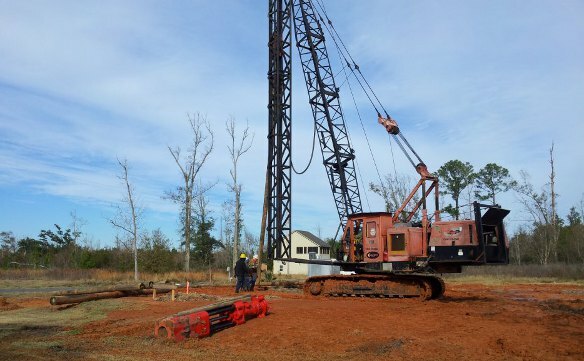 The New Year came in with a BANG, about 6,000 bangs to be more precise, as we hammered forty 30 foot long timber pilings into the ground for the new church . Twenty Thousand dollars worth of fireworks could not have been more exciting (yes, 20K is the price we paid for the pilings). The work has begun. Stay tuned for regular updates.